The Place 126 Dim Sum or Wan Dou Sak (“Found some food”) in Cantonese located along Serangoon Road is a eatery style dim sum joint which offers value for money dim sum. It is probably one of the best supper places in Singapore as well, given the 24 hours opening time. The interior of the restaurant is very basic and no frills, even the menu is an old booklet with handwritten style. The Food I would not say the dim sum at 126 eatery is the most authentic Hong Kong style, but rather a mixed version of Singapore’s as well. The prices are fairly reasonable as compared to the average Chinese restaurant in Singapore, which makes 126 eatery a rather value for money place to have a decent dim sum meal. There are so many dishes on the menu, and I would not say all of them are authentic dim sum dishes. For a start, we had the Cong You Bing (scallion oil pancake) ($4), which reminded me of the Taiwanese street snack. The texture was very crispy though very oily as well, but the taste made up for the calories. Next up was the Chee Cheong Fun (rice noodle roll) with mushroom ($3.80), one of the dishes we would recommend here. Chee Cheong Fun is something we would order for every dim sum meal and we found the version at 126 to be quite good. There are the usual ones with pork or prawns but we decided to go for the mushroom flavour. The texture of the rice roll is just right, as some of the mediocre ones we have tried before were usually too dry and tasteless. The gravy here was definitely the winning formula for this dish. 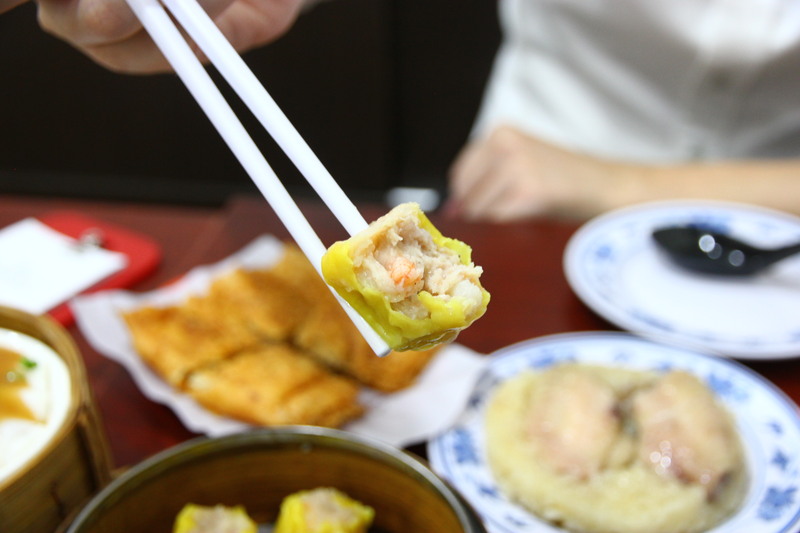 What is dim sum without some Siew Mai ($3.20)? Do not expect generous prawn fillings here though. The Fried Carrot Cake ($4) was quite different from the squarish pan fried version we were used to seeing at most Chinese restaurants, as it came coated with a thick layer of flour and was quite greasy. That said, the taste was not bad though we felt like we had to hit the gym immediately after our meal. The Glutinous rice with Chicken ($2.20) was also one of my favourite dishes here, which I found to be quite value for money. The glutinous rice was tasty and filling, especially with the two chicken wings that came with it. And the best drink to have after all the dim sum was definitely the Sour Plum with Lime Drink ($3), which was so refreshing. Rants As plain as the eatery looks, do not expect much service here or a cosy dining ambience. Afterall, these dining perks are all traded off for its competitive prices. Will I Return Again? Affordable and value for money dim sum is hard to come by, as we mark 126 Eating House in our minds whenever we need to have a quick fix to satisfy our dim sum cravings.